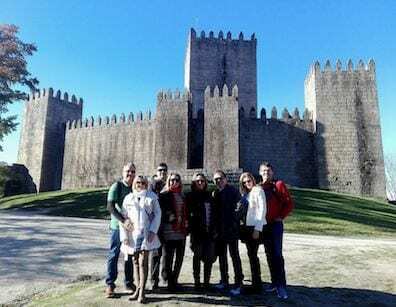 I organize private tours in Braga & Guimarães! 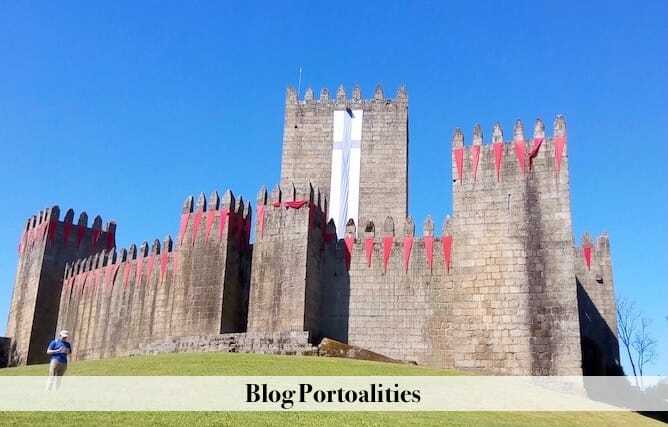 Check about my tours in Braga and Guimarães or send an email to sara@portoalities.com. 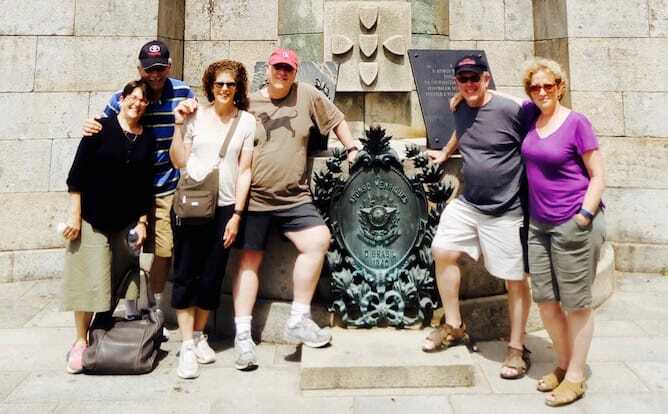 For those of you who wondering who is Rick Steves, let me introduce you to the most respected American travel author regarding European travels. From writing travel best sellers to hosting tours in many European countries, Rick Steves has done it all. 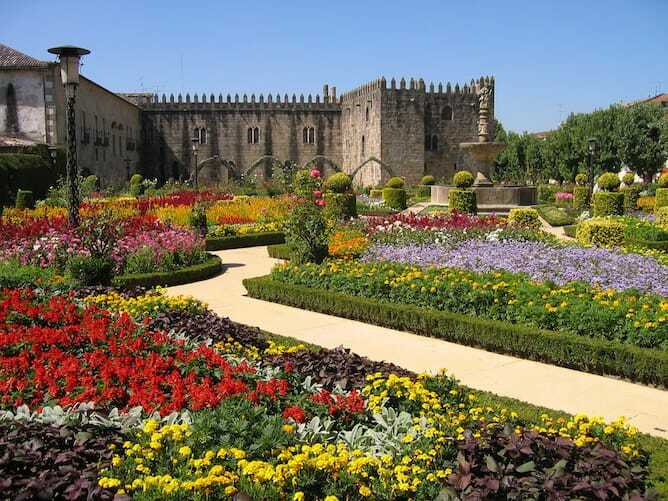 Guimarães, in Portugal, is the most beautiful city in the North of our country (besides Porto, of course! ), period. It has a cute medieval city centre, where you can wonder around without being annoyed by cars. 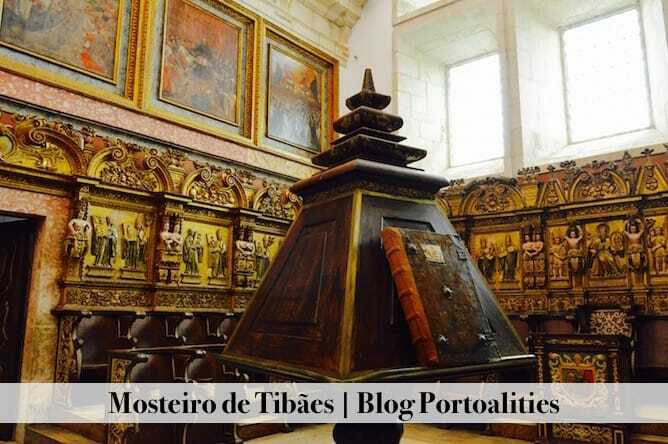 In Guimarães you have several interesting monuments to visit, that I told you about on the Top 5 things to do in Guimarães. You should definitely not miss the Sacred Hill: the Palace of the Dukes of Braganza, the castle of Guimarães, where the 1st king of Portugal was born, and the Church of S. Miguel. You can read the article above for price and tours information on each monument. 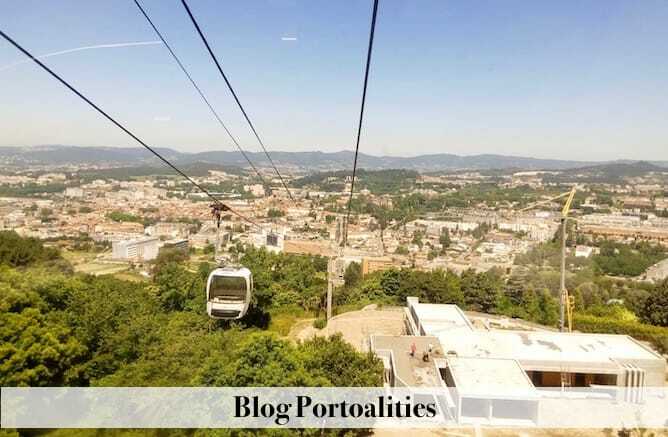 Another cool thing to do in Guimarães is to take the cable car to Montanha da Penha. Over there, you have not only a fabulous view over Guimarães, but also a camping park, a beautiful picnic area, a mini golf and many, many green areas. It’s gorgeous! 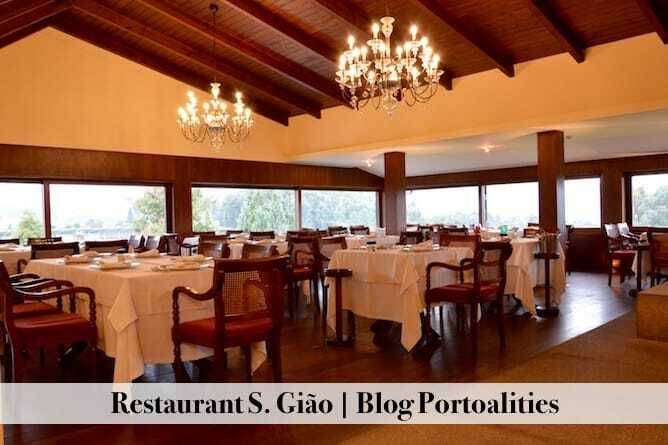 There are two fantastic restaurants in Guimarães, in Portugal. 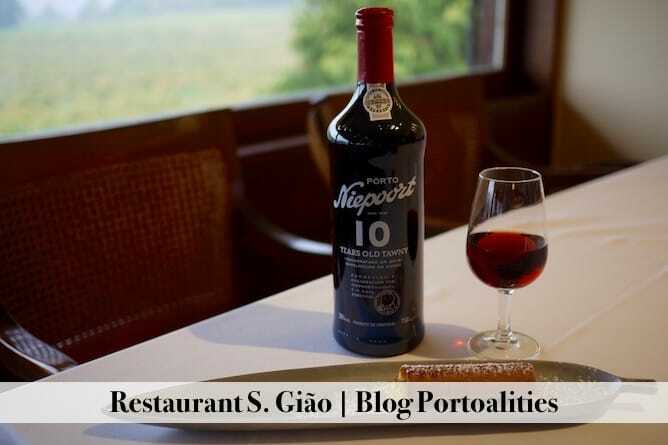 If you have a car or if you don’t mind getting a cab, then S. Gião is definitely the best option. 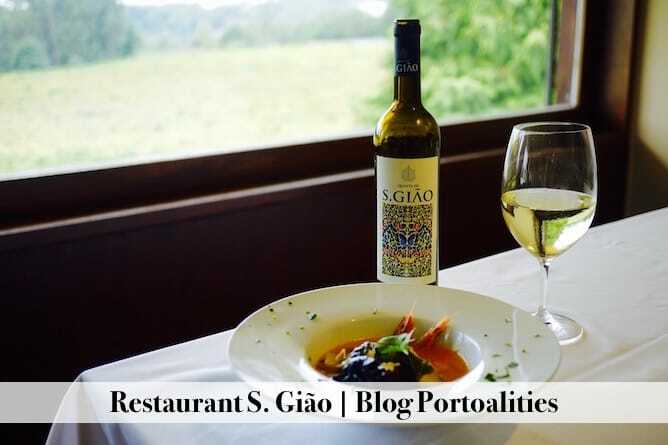 S. Gião is very spacious and with plenty of natural light, so it’s the perfect restaurant for families with kids or for a large group of friends. 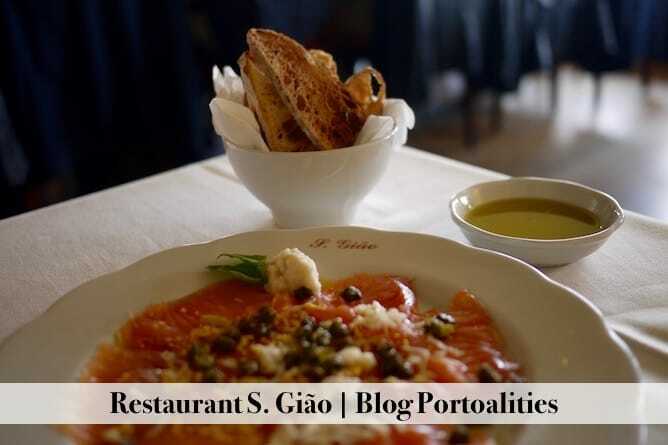 At S. Gião, you’ll be able to taste the finest smoked sausages from the North of Portugal, as well as home made smoked salmon with capers (fabulous!). For main dish, I recommend you to try the fish soup with seaweed: it’s rich and flavourful without being overwhelming. And, as you know I have a strong sweet tooth, so I saved some space for the dessert: the most wonderful canillha I’ve ever tried! 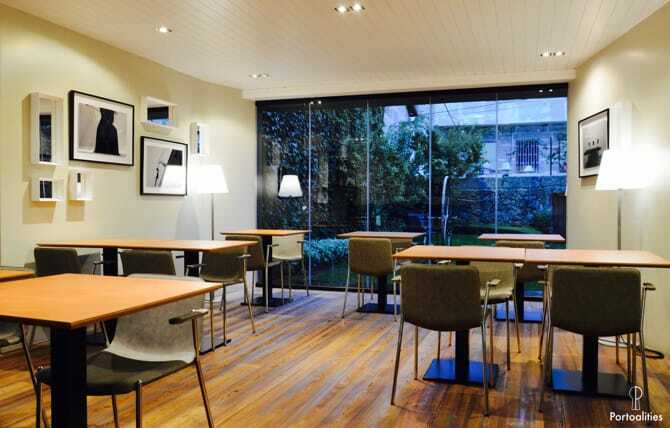 If you don’t want to leave Guimarães, then I suggest you a vegetarian restaurant called Cor de Tangerina. The service is very slow but the food is really nice, and there’s a lovely patio on the backyard where you can pleasantly enjoy the sun while you wait for your food. 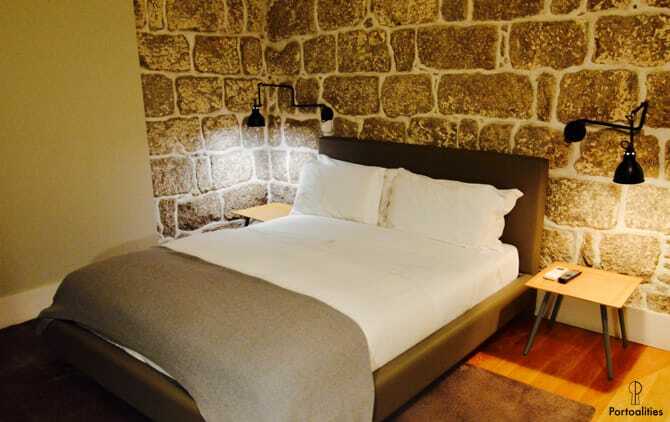 If you’re wondering where to stay in Guimarães, Casa do Juncal is the answer. I already told you about this unpretentious boutique hotel on my Top 5 Romantic Hotels in the North of Portugal. Casa do Juncal is located at the centre of Guimarães, on a renovated building with few rooms, so you’ll immediately feel at home. 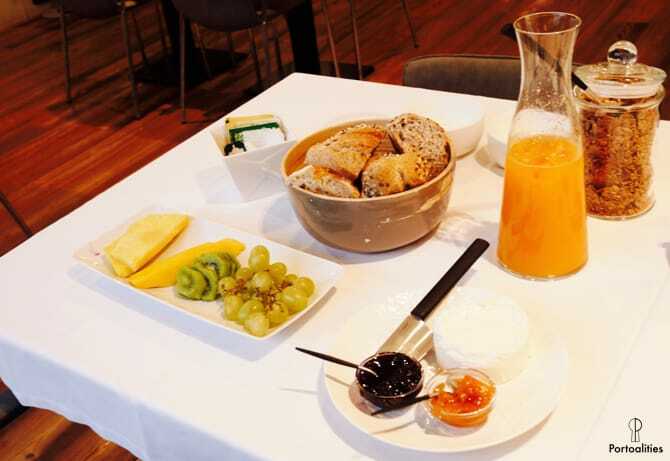 There, you can expect a wonderful breakfast prepared exactly according to your request (I prefer this model much more than a buffet where food is exposed for god-knows-how-long!). There is also an honesty bar, where guest write down their room and what they drunk. And, moreover, a beautiful garden on the back. Cherry on top? Casa do Juncal is not very expensive – you can easily get a room for two people for around 110€! The magnificent cathedral of Braga, the first one to be built in Portugal. There is even an expression used by our grandparents that says “it’s older than the cathedral of Braga”, when they refer to something really old. 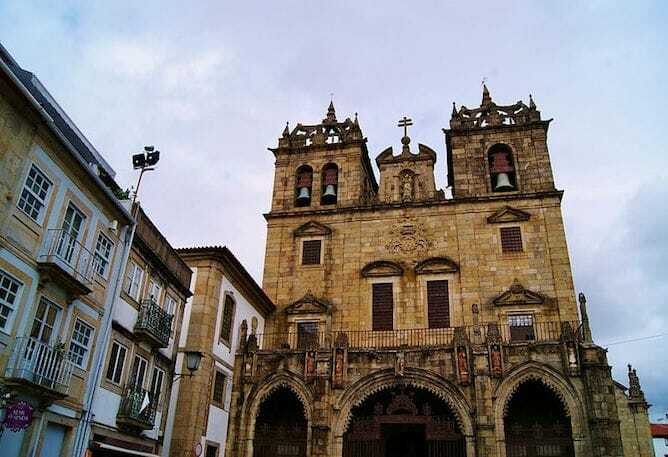 There are several tickets for the cathedral of Braga, but I recommend you to buy the complete ticket, which gives you access to the cathedral itself, the 5 chapels and the high choir. It costs 5€/adult. 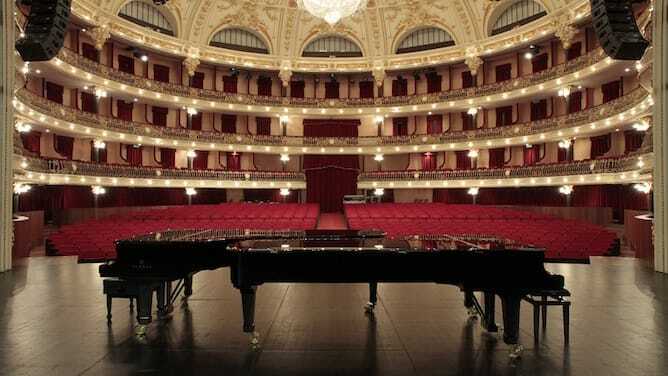 Theatro Circo, a stunning building where concerts and plays take place. The best way to experience Theatro Circo is to watch a concert, but if you’re visiting Braga, in Portugal, just for the day, it also has guided tours to the building. Make sure you make your reservation on theatrocirco@theatrocirco.com. The garden of Santa Bárbara, a cool hidden spot to relax a little bit. Around Braga, in Portugal, there are cool places to visit too! In case you’re staying in Braga, in Portugal, and don’t have a car, take the bus #2 at Avenida da Liberdade – it’ll leave you straight at the sanctuary. The ticket is fairly inexpensive and you can pay buy it from the bus driver. 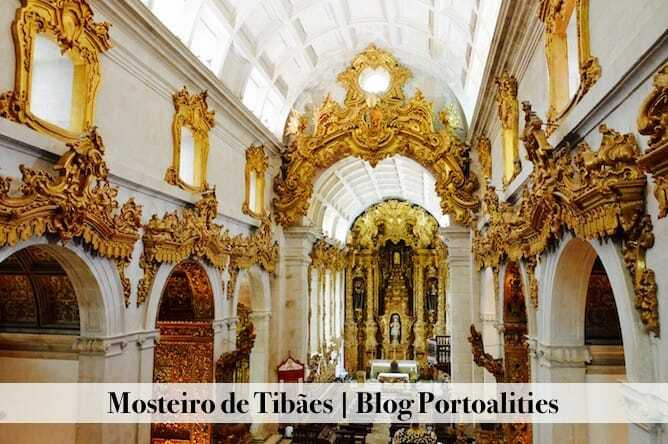 I saved the best for last: Mosteiro de Tibães, a stunning sixteenth century monastery. 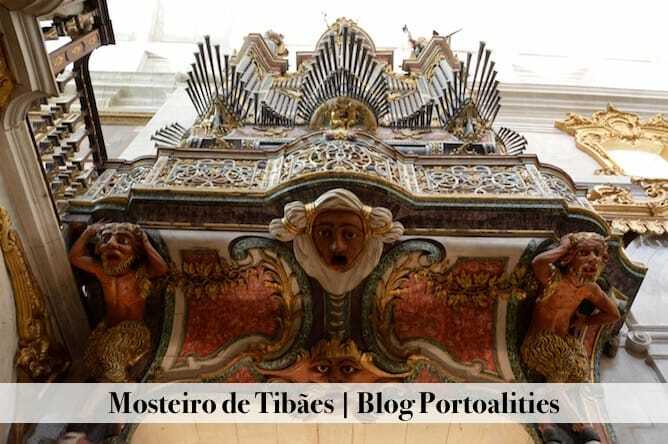 The highlight of Mosteiro de Tibães is its beautiful church covered in 5 different types of Portuguese gilded woodcarving. Moreover, its luxurious gardens with water fountains are the perfect excuse to relax a bit after a tour in the monastery. There are 3 types of tickets with the same price (4€/person): independent visit (you’re given a leaflet to explore the monastery on your own); an audio-guide tour (available in EN/PT/ES) and a guided tour (unfortunately, only available in PT). It’s really worth it! 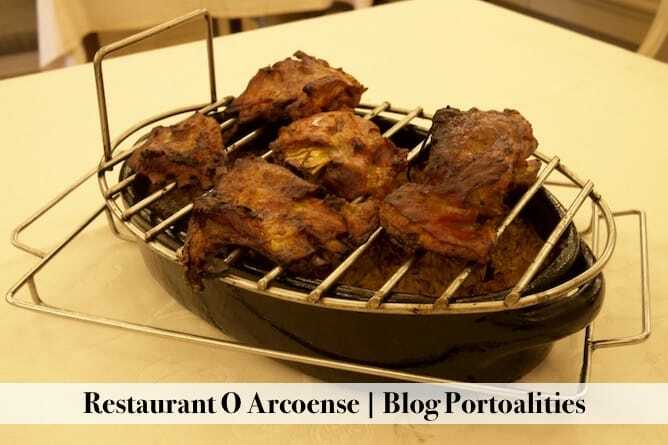 There are plenty of restaurants in Braga but none comes close to O Arcoense. 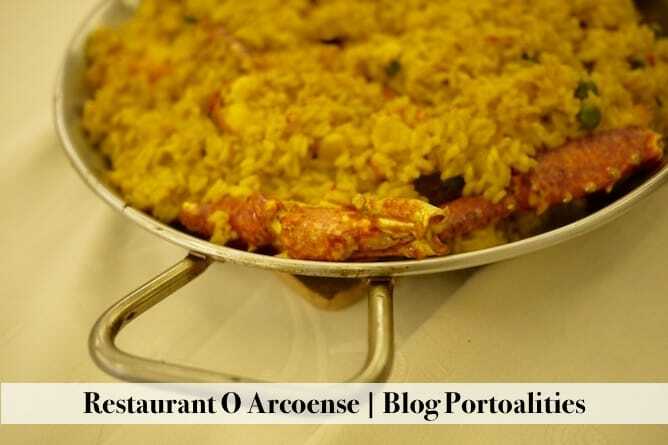 It’s definitely one of the best restaurants in North of Portugal! At Arcoense I recommend you to try “Cabrito pingado”, something I’ve never seen anywhere. Basically they put rice on a platter of clay to go to the oven. Then they put a baby goat on a grill over the clay. Thus, the fat of the meat drips into the rice while it bakes. Don’t give me that look – it’s insanely good! The starters are also delicious, from soft sheep cheese to home made black pork sausages. Last (but never the least! ), at Arcoense you can find a good selection of traditional Portuguese sweets such as Pudim Abade de Priscos (a rich pudding from the North of Portugal), Pão de rala and Encharcada (from Alentejo), just to give you a few examples. Other good suggestions are Taberna do Felix and O Abocanhado. Whatever you pick, just don’t go to Taberna Belga: it serves the worst francesinha, the traditional sandwich of Porto, that I’ve ever tasted. 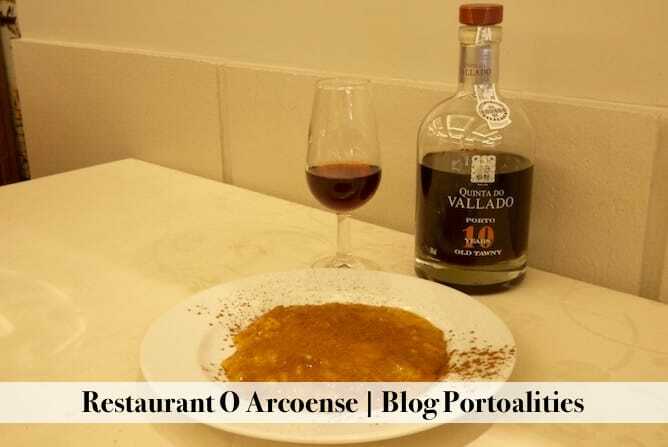 If you want to try a proper francesinha, here’s my personal recommendations of places in Porto, which is the ONLY place on earth where you should try it. Probably I’ll cause a mutiny for writing this but I don’t care, it’s public service! How many days should you spend in Guimarães and in Braga, in Portugal? 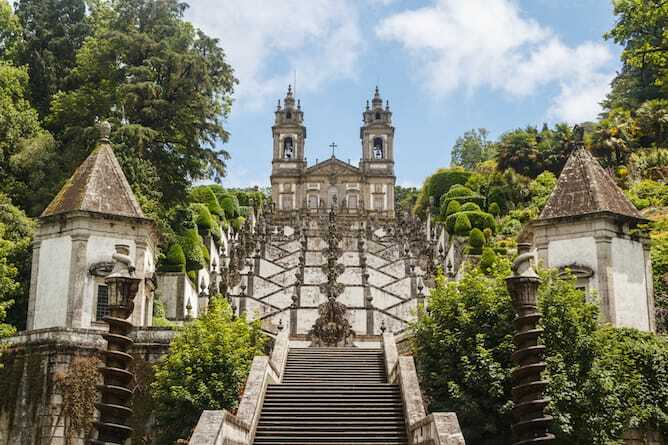 If you are running short of time you can perfectly organise a day trip from Porto to Guimarães and Braga, in Portugal. Nonetheless, if you have more time to spare then you should consider staying for at least 2 or 3 days as there is plenty to do around these cities, including visiting some of the best vineyards in the Green wine region. What is the best way to get to Guimarães and Braga in Portugal? There are several ways to travel from Porto to Guimarães. If you are only planning to go there as a day trip from Porto, then I suggest you take the train, as there is one train per hour connecting the two cities. The first train departures from Porto at 6:25 a.m. and the last one departures from Guimarães at 10:25 p.m. The ticket costs around 3.50€ and the trip lasts for around 1h. It is a similar process to get to Braga: just take a train from Porto (the first one departures at 6:20a-m-) and then pick up a return train (the last one departures at 11:32 pm). The ticket costs around 3.50€ and the trip lasts for around 1h. Should I rent a car to go to Guimarães and Braga in Portugal? It depends. There are train connection from Porto to both Braga and Guimarães, in Portugal, and in between the two cities as well. However, if you’re planning to visit the two cities in a day, it gets complicated to combine three train schedules. You’re traveling with a group of 3 or 4 people – this way you can easily split up the cost of renting a car. If you can also check here for Sixt Last Minute Special, even though this is the best option, as I mentioned before. I’ve also partnered up with Europcar to offer you their best deals. Note that all the discounts are applied automatically through the links provided above, so you won’t see any offer text or stroke out price. I’ve chosen Sixt and Europcar because I am quite experienced in car rentals in Porto (because of my private tours), and these rent a car companies provide the best prices, friendly staff and a great customer service. 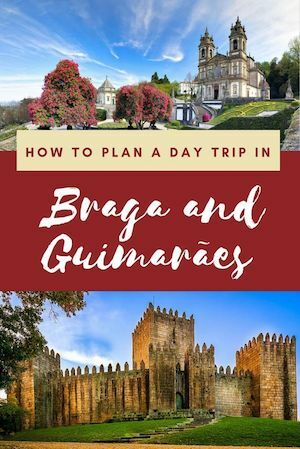 If you’d like to optimise your time and have a unique day trip in Braga and Guimarães, then you’re at the right place. 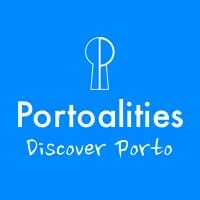 Check here for more information about my private tours in Braga and Guimarães or simply send an email to sara@portoalities.com. It’ll be my pleasure to take you to Braga and Guimarães!